Since being published in 2010, A best Practice Guide to Assessment and Intervention for Autism and Asperger Syndrome in Schools has become a gold standard autism resource for parents and practitioners. 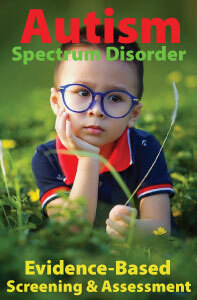 Written by Lee A. Wilkinson, PhD, a practicing school psychologist, this authoritative, yet accessible award-winning text provides step-by-step guidance for screening, assessing, and educating children at-risk for autism spectrum disorders (ASD). Grounded in the latest research, special features include illustrative case examples, FAQs, quick reference boxes, glossary, and an index to 50 evidence-based best practice recommendations. It is an essential guide and valuable resource for practitioners in psychology, general and special education, counseling, social work, and for graduate and pre-service students. Parents, advocates, administrators, and attorneys will also find the content informative and helpful. This text is a welcome addition to the reference libraries of all who want to further their understanding of the identification and treatment of school-age children with ASD. Highly readable and comprehensive, this book sets the standard for those working with students with ASD. A Best Practice Guide to Assessment and Intervention for Autism and Asperger Syndrome in Schools was named the Winner in the Education/Academic category of the 2011 Next Generation Indie Book Awards and honored as an Award-Winning Finalist in the Education/Academic category of the "Best Books 2010 Awards” sponsored by USA Book News. To honor the second anniversary of the book’s publication, we will be giving a signed copy to a randomly selected winner on July 16, 2012. 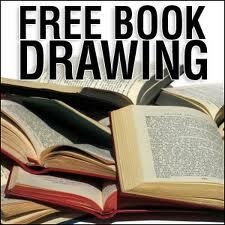 To enter our BestPracticeAutism.com book giveaway, please fill out the form below. Log in with Facebook or use your Email. You will see a button that says +1 Do It. Click on the +1 Do It and submit your entry. The +1 indicates that this entry is worth ONE entry into the raffle. Good luck! Disclosure: All information entered during this giveaway will be viewed by BestPracticeAutism.com only - we do not share or sell information. Respecting Autism: The Rebecca School DIR Casebook for Parents and Professionals by Stanley I. Greenspan, MD and Gil Tippy, PsyD describes the mission and program of the Rebecca School, a therapeutic day school in New York City that specializes in teaching children ages four to twenty-one who have a range of neurodevelopmental disorders, including autism and Pervasive Developmental Disorder (PDD). The book features a Foreword by Michael Koffler, Executive Director of the school, followed by an Introduction by Clinical Director and founder Dr. Gil Tippy, a brief history of Rebecca School, and 16 chapters, each featuring a different case vignette. The text concludes with a Glossary and list of acronyms to help the reader negotiate some of the “jargon” in the book. The introduction by coauthor and Clinical Director of the school, Dr. Gil Tippy, is well-written and clearly describes the DIR/Floortime model adopted by the school. 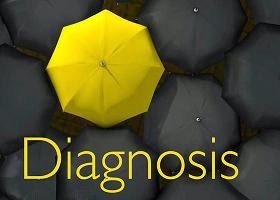 Briefly, the Developmental, Individual Difference, Relationship-based (DIR®) Model, developed by the late Dr. Stanley I. Greenspan, is a framework that helps clinicians, parents and educators conduct a comprehensive assessment and develop an intervention program tailored to the unique challenges and strengths of children with Autism Spectrum Disorders (ASD) and other developmental challenges. The objectives of the DIR® Model are to build healthy foundations for social, emotional, and intellectual capacities rather than concentrating on skills and isolated behaviors. This integrated model focuses on interaction with caregivers and the environment, biological, motor, and sensory differences and the child’s functional emotional development capability. It may include various problem-solving exercises and typically involves a team approach with speech therapy, occupational therapy, educational programs, and mental health (developmental-psychological) intervention. 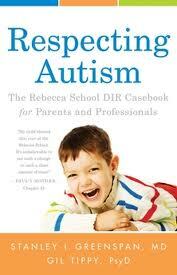 The heart (and soul) of Respecting Autism is the individual students profiled in each of the 16 chapters. Each “real world” case vignette highlights the child’s unique needs, strengths, and challenges and how he or she has benefited from DIR/Floortime intervention. The reader is presented with a history of the child, including parental concerns and experiences with medical and special education programs, a summary of Sensory and Motor Strengths and Challenges as Understood and Described by the Rebecca School Staff, Dr. Greenspan’s Recommendations, and Constitutional and Maturational Variations. 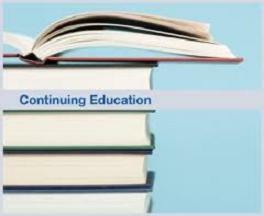 Each chapter ends with a Game Plan designed to enhance growth and development while respecting the child’s special unique needs, and a discussion of Program Responses to Dr. Greenspan’s Recommendations. Respecting Autism: The Rebecca School DIR Casebook for Parents and Professionals by Stanley I. Greenspan, MD and Gil Tippy, PsyD, is recommended reading for all who live and work with children on the “developmental spectrum.” Professionals who want to expand their treatment options for children on the spectrum will find the text a valuable resource for understanding the DIR/Floortime model and its application as a developmental-pragmatic approach to intervention. Recent statistics from the Centers for Disease Control and Prevention (CDC) indicate that one in every 68 school-age children in the U.S. has an autism spectrum disorder (ASD). Over the past 10 years the prevalence rates have risen steadily, from one in 150, to one in 110, and now to one in every 68 children. This represents a 78 percent increase in the number of children identified with an autism spectrum disorder (ASD) over the past decade. Families, educators, and service providers are faced with an ever increasing amount of confusing and often conflicting information about the myriad treatments and interventions available for autism. Intervention approaches and nontraditional therapies for ASD are routinely discussed by researchers, parents and professionals. Many approaches feature testimonials, anecdotal, and unverified reports that promise cures, or at the very least, dramatic improvement and recovery. Unfortunately, parents, caregivers, educators, and practitioners are often exposed to unsubstantiated, pseudoscientific theories, and related clinical practices that are ineffective and compete with validated treatments. The time, effort, and financial resources spent on ineffective treatments can also create an additional burden on families and practitioners. As a result, there continues to be an urgent need for evidence-based guidance on providing treatment to children and youth with autism spectrum disorders (ASD). Understanding treatment options and making informed decisions for children and youth with ASD are critical. How do we differentiate scientifically validated treatment approaches from those that are unproven and/or potentially ineffective? Where do parents and professionals find credible, research-based information on the most effective treatments for autism spectrum disorders (ASD)? To answer these questions, the National Autism Center completed an unprecedented multi-year project, the National Standards Project, to establish a set of standards for effective, research-validated educational and behavioral interventions for children and youth on the spectrum. The Project included the support and guidance of an expert panel composed of nationally recognized scholars, researchers, and other leaders representing diverse fields of study. The culmination of this rigorous multi-year endeavor represents the most comprehensive analysis available to date about treatments for children and adolescents with ASD. The National Standards Report provides a single, authoritative source of guidance for parents, caregivers, educators, and practitioners to make informed treatment decisions and distinguish research supported treatment approaches from treatments that are unproven and/or potentially ineffective. This groundbreaking report covers a broad range of applied treatments and identifies the level of scientific evidence available for each. 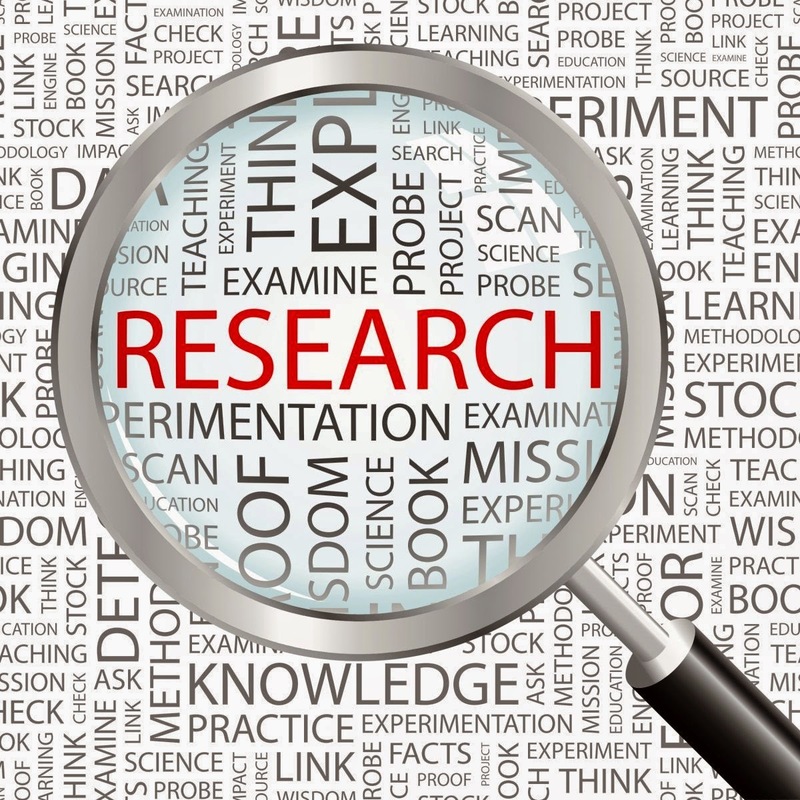 It includes 775 research studies, the largest number of studies ever reviewed. For the first time, service providers, educators, caregivers and parents can find specific information about the age groups, treatment targets, and diagnostic populations to which these treatments have been applied. The findings include the identification of eleven (11) “established’ treatments; twenty-two (22) “emerging” treatments; and five (5) “unestablished” treatments. This information is especially important to service providers, educators, caregivers and parents as it identifies evidence-based treatments and provides standards and guidelines on making treatment choices for children and adolescents with ASD. Interventions or treatments identified as categories of “established” or effective treatments are listed below. More detailed descriptions of each category are available from the National Standards Report. • Antecedent Package (These interventions involve the modification of situational events that precede the occurrence of a target behavior in order to increase the likelihood of success or reduce the likelihood of problems occurring. Strategies include applied behavior analysis (ABA) and positive behavior support). • Behavioral Package (These interventions are based on behavioral principles and are designed to reduce problem behavior and teach functional alternative behaviors). • Comprehensive Behavioral Treatment for Young Children (These programs involve early behavioral interventions that target a range of essential skills (e.g., communication, social) and involve a combination of applied behavior analytic procedures (e.g., discrete trial, incidental teaching). They are often termed ABA programs or early intensive behavioral intervention). • Joint Attention Intervention (Joint attention refers to behavior of two individuals simultaneously focusing on and object or activity. These interventions involve building foundational skills involved in regulating the behaviors of others by teaching a child to respond to the nonverbal bids of others or to initiate joint attention interactions). • Modeling (These interventions rely on an adult or peer providing a demonstration of the target behavior. The goal of modeling (live and video) is to correctly demonstrate a target behavior to the person learning a new skill, so that person can then imitate the model). • Naturalistic Teaching Strategies (These teaching strategies primarily involve child-directed interactions to teach real-life skills (communication, interpersonal, and play skills) in natural environments. Examples include incidental teaching, milieu teaching, and embedded teaching). • Peer Training Package (These interventions facilitate growth for children with ASD by training peers on how to initiate and respond during social interactions with a child on the spectrum. Common names include peer networks, circle of friends, and peer-initiation training). • Pivotal Response Treatment (This treatment is also referred to as Pivotal Response Teaching and focuses on teaching children to respond to various teaching opportunities within their own natural environment, and to increase independence from prompting. Pivotal behavioral areas include motivation, self-initiation, and self-management). • Schedules (This intervention involves presentation of a task list to increase independence, improve self-regulation skills, and allow the child to plan for upcoming activities. Schedules may be presented in multiple formats (e.g., photos or pictures, written or typed words, 3-D objects). • Self-management (These strategies involve teaching individuals with ASD to evaluate and record the occurrence/nonoccurrence of a target behavior and secure reinforcement. The objective is to be aware of and regulate their own behavior so they will require little or no assistance from adults). • Story-based Intervention package (These interventions identify a target behavior and involve a written description of the situation under which specific behaviors are expected to occur. Most stories aim to improve perspective-taking skills and may be supplemented with additional components (e.g., reinforcement, prompting, and discussion). The most well known story-based intervention is Social Stories). Treatment selection should be made by a multidisciplinary team of individuals who are in the position to evaluate the unique needs and history of the child or youth with ASD. The above referenced “established” treatments have sufficient evidence of effectiveness and should be given serious consideration by decision-making teams. It should be noted, however, that research findings are not the only factor involved when selecting an intervention. Professional judgment and the values and preferences of parents, caregivers, and the individual are also important. Complete information about the Project’s treatment effect ratings, Strength of Evidence Classification System, limitations, and future directions for the scientific community is available from the National Standards Report. The National Autism Center is dedicated to serving children and adolescents with Autism Spectrum Disorders (ASD) by providing reliable information, promoting best practices, and offering comprehensive resources for families, practitioners, and communities. An advocate for evidence-based treatment approaches, the Center identifies effective programming and shares practical information with families about how to respond to the challenges they face. The Center also conducts applied research and develops training and service models for practitioners. Finally, the Center works to shape public policy concerning ASD and its treatment through the development and dissemination of National Standards of Practice. New York State Department of Health Early Intervention Program (1999). Clinical practice guideline: Report of the recommendations. Autism/Pervasive developmental disorders, New York State Department of Health Early Intervention Program assessment, and intervention for young children. Albany, NY: New York State Department of Health Early Intervention Program. Lee A. Wilkinson, PhD, CPsychol, NCSP, AFBPsS is a licensed and nationally certified school psychologist, chartered psychologist, registered psychologist, and certified cognitive-behavioral therapist. He is also a university educator and trainer, and has published widely on the topic of autism spectrum disorders both in the US and internationally. 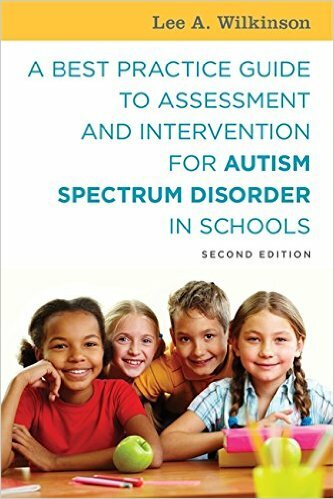 Dr. Wilkinson is author of the award-winning book, A Best Practice Guide to Assessment and Intervention for Autism and Asperger Syndrome in Schools, published by Jessica Kingsley Publishers. He is also editor of a recent volume in the American Psychological Association (APA) School Psychology Book Series, Autism Spectrum Disorder in Children and Adolescents: Evidence-Based Assessment and Intervention in Schools and author of the new book, Overcoming Anxiety and Depression on the Autism Spectrum: A Self-Help Guide Using CBT.